A recent change was implemented regarding access to NVAR forms through dotloop®. This security measure is intended to ensure that only REALTOR® subscribers or their authorized designees have access to this proprietary professional resource. Subscribers are now required to enter a valid NRDS ID. 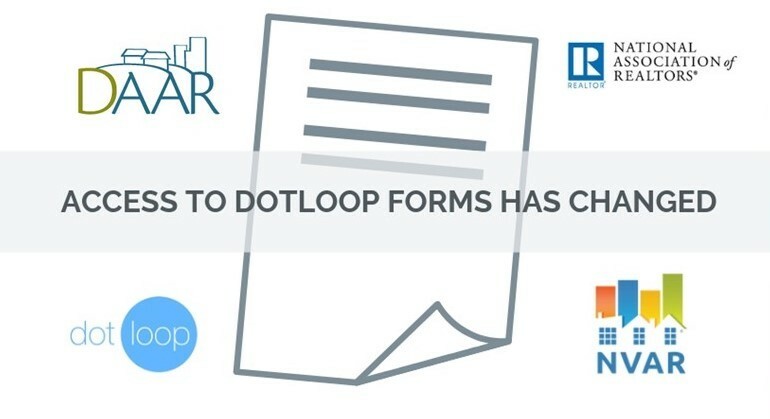 Because the authentication system only recognizes NVAR NRDS numbers, DAAR members who are subscribers or their administrative assistants who wish to access the forms through this system will need to obtain an invitation code from dotloop® customer service.